Our Hickory Bourbon sauce is so awesome we wish we could swim in it. 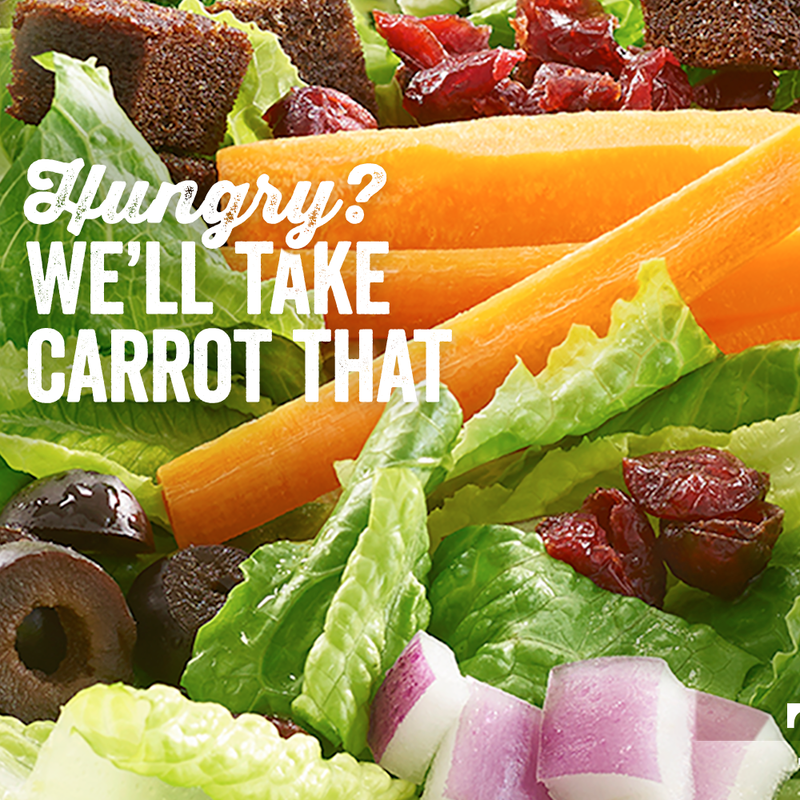 Or lather it all over our entrées. We went with the second option, so soak up this sweet, smoky deliciousness all summer long. People often ask us: Ruby Tuesday, what’s the secret behind your one-of-a-kind Hickory Bourbon entrées? Our response: Hickory. Bourbon. Sauce. But that’s all we’re saying, so come in and try it for yourself. The South’s favorite front porch staple just got sweeter with our Honey’d Peach Tea. Kick your feet up, sip slow, and stay awhile—we don’t mind. Our pork chops are soaking up that sweet, smoky Hickory Bourbon glaze just steps away from you. So once you’re done soaking up that summer sun, head our way and we’ll get them sizzlin’ for you. This Sunday 7/17, show your allegiance to the United Sundaes of America, where you can buy one sundae and get a second for FREE! Consider this our monument to deliciousness. Fresh, 100% USDA Choice beef sculpted to perfection and crowned with our special sauce. Get it for FREE this week with purchase of any adult entrée. Sure thing, St. Louis. Actually, now that the New Garden Bar comes with over 50 fresh and flavorful ingredients, you’re getting more of everything! Seriously, St. Louis. With 50+ fresh, flavorful ingredients, and endless trips, nobody leaves the New Garden Bar hungry. And we mean nobody. St. Louis, if you’re seeking 50+ fresh and flavorful ingredients, then our New Garden Bar is eggsactly what you’re looking for. Of course, you never know for sure until you try. Let the grill master take a break. This Father’s Day, we’ll be on dinner duty. Take it from us, all Dad wants for Father’s Day is a big, fat, juicy… gift card.